The Securikey M18535H is a hemisphere convex half face security mirror. 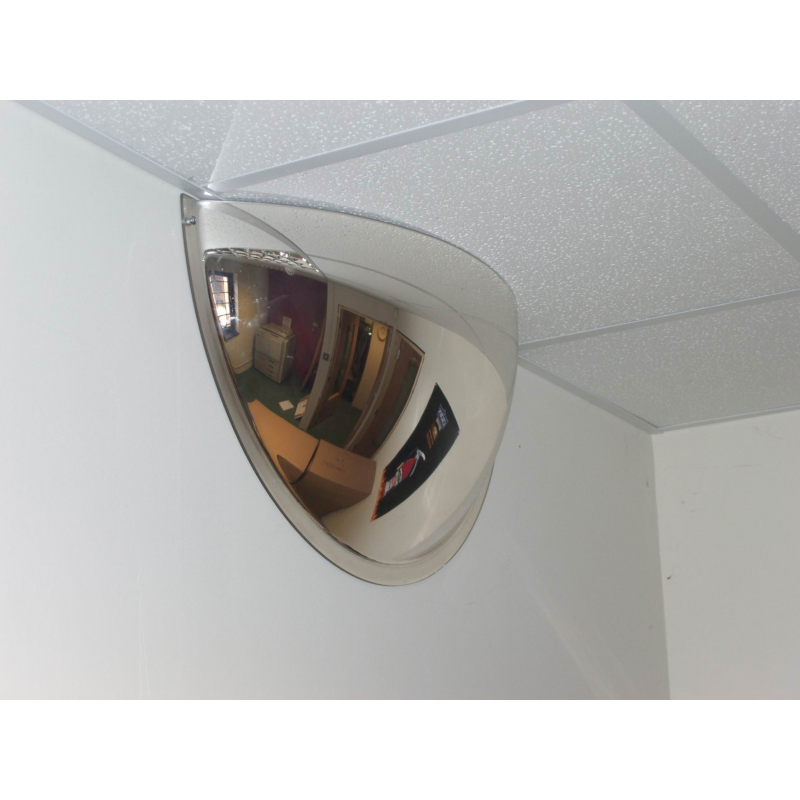 It has been crafted using a 3mm acrylic creating a viewing area of 180Â° which will enhance visibility in busy corridors. The M18535H features a vinyl celuka back and lid that will prevent dust and litter getting inside. 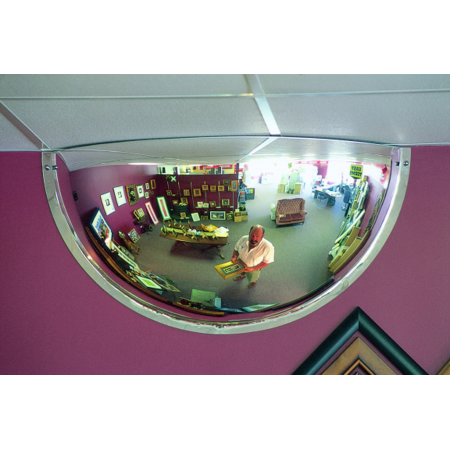 It fixes to walls and all dome top screws are supplied with the mirror.